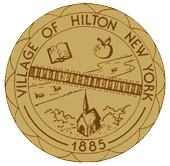 In 2011, The Village of Hilton Board of Trustee’s abolished the Planning Board. All Planning Board activities are now being handled by the Village of Hilton Zoning Board of Appeals. on the 2nd Tuesday of each month and begin at 6:30 PM.